Most people have heard of the Kelly Blue Book. Those that haven’t will learn of it soon into their first experience buying or selling a car. The company has been one of the foremost names in car pricing for a long time. They’re one of the most-used sources for dealers, fleet-operators, and private sales. This review covers everything you need to know about the kbb website. It covers the main information you’ll want to know about the company. It also goes over the main features that the site offers. Then it looks at what some of the best general-review sites on the web have to say about Kelly Blue Book. Finally, we’ll over some final thoughts on Kelly Blue Book. This includes the best ways to use the site. It also includes a comparison of the pros and cons of the site. Use this information to help make sure you’re getting the best deal possible on your car or truck. It doesn’t matter if you’re buying or selling. Car sales are a big deal. That means it’s important to get the price right. KBB offers a way to do just that. Kelly Blue Book is a vehicle pricing specialist. They started in 1926. The digital version of the KBB started in 1995. It was one of the most visited car sites at the time. KBB offers a wide range of tools and information to users. These tools focus on finding the price for a car. This is a much more difficult process than you might think. There are lots of factors that go into pricing a car. They include make, model, year, condition, mileage, accident history, and the local market. Powerful data gathering and analytic tools allow KBB to takes these factors all into account. They use this information to produce an accurate value for a specific car or truck. They’re one of the most authoritative sources when it comes to the price of a vehicle. This authority means that KBB is hugely influential in vehicle pricing. Nearly every car dealership at least considers the KBB value when they’re setting a price on a car or truck. Many private sales hinge on a KBB price. The website does a good job providing tools that benefit users. We’ll look at those main features next. As you might expect, the main features of KBB focus on vehicle pricing. But the company does a great job of taking the information it has and taking it one step further. Also, they do a good job of structuring their services so that they’re useful when people need them. As a result, they offer a lot of value for consumers. The first main feature of KBB is the fair purchase price tool. This tool takes in several factors about a car and uses the information to produce an accurate market value. You can use this information in several situations. It helps you understand if you’re getting a fair car trade in value. It also lets you easily set a price on your car if you’re trying to sell it in a private sale. The fair purchase price also helps you when you’re buying in a private sale. It tells you what is reasonable to pay and what’s a rip off. The tool uses information from recent sales and offered prices, supply and demand, regional, and seasonal factors. This data is updated weekly. That’s a very comprehensive list of factors to take into account. Many people like to use this tool to get the best deal on a brand-new car. The price of a brand-new car can swing a lot. That’s because the price is affected by the release of newer models. KBB can help you predict when a brand-new car will be at its cheapest price. That helps you plan out the best time to buy it. One way that KBB goes above and beyond with the information they have is the 5-year cost to own tool. This tool does just what its name says. It predicts how much it will cost you to own the car for five years. This is an incredibly valuable tool. That’s because people don’t always think about how much a car will cost to run. Instead, they focus on the sticker price of the car itself. As a result, they can wind up spending much more money in the long run. KBB uses a series of factors to predict how much a specific car will cost you overall for a 5-year period. For example, some cars get better gas mileage than others. Small differences in gas mileage can add up to huge savings day-to-day. Also, some cars are more expensive to maintain. They might need higher-octane gas. Some cars need to be serviced by a specialist. Moreover, different cars cost a different amount to insure. That makes a huge difference in your overall car-budget. The 5-year cost to own takes all of these factors into account and more. It looks at the cost for fuel, state fees, financing, maintenance, repairs, and insurance. It also factors in the depreciation of your car. That’s a good touch. Many people don’t think to take into account that their car loses value every year, which represents a financial loss for them. All of this means you can not only figure out what car has the best price, but you can see which car will save you the most money long-term. This tool actually helps with long-term value management. That’s a rare and valuable service. KBB knows that most people use their services while they’re shopping for cars. That’s why they have lots of helpful expert reviews on different cars. The reviews cover new and used cars. They provide an honest and fair look at the pros and cons of different cars. These reviews are easy to access. The site knows what reviews to display when you search different cars. That means you’ll see reviews for similar cars as well. This information is helpful to most average car-buyers. While cars and trucks are popular, most people don’t follow every detail of the latest new car releases. They also don’t follow reviews of how some older cars hold up. That means having access to expert opinions on different vehicles offers great value. It lets people quickly learn about different cars they’re interested in. It also helps them learn about cars that are similar to the ones they’re looking at which they might not have known about. KBB also has a mobile app. The app offers all of the services as the site. This is helpful for lots of car buyers. It means they can do their research on the fly while they’re shopping. An app interface makes it easier to find the answers and information you’re looking for. This saves people time. They don’t need to struggle with a tiny mobile site or do all of their research beforehand. It also gives consumers more flexibility. It makes it easier to look up a car you just happen to see while you’re shopping. This can help you spot deals you might otherwise miss. Most other car-buying tools that offer an app only allow you to search on their listings. KBB offers the ability to check prices for any car, at any time. We want you to have all the information you need. It’s hard to put a price on a car. So we checked out some of the most trusted general review sites online to see what others have to say about KBB. Use this information to decide if Kelly Blue Book is the auto-pricing tool you’ve been looking for. The BBB gives Kelly Blue Book an A- rating. The business is not BBB accredited. The reason that the company has an A- and not an A+ is because they’ve failed to respond to 1 complaint filed against the business. 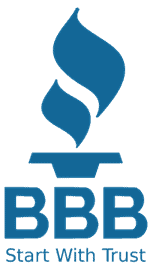 This means that KBB’s advertising and business practices are in line with BBB standards. They follow the terms of their agreements. The products they offer work as advertised. They also generally respond to consumer complaints in a way that satisfies the BBB. The company has four total consumer reviews with the Better Business Bureau. Three of the reviews are negative and one is positive. That’s actually a pretty good ratio. Most people don’t go to a place like the BBB to leave good reviews. Instead, people view the BBB as a general complaints department against businesses. Moreover, thousands of people use KBB products and services every day. So three complaints total is a very low number. The consumer reviews generate a composite score of 3.56 out of 5. Trustpilot is a general review site that people use to review their interactions with different businesses. There are 10 reviews for KBB on Trustpilot. They lead to a composite score of 2 out of 5. Most of the complaints center on the “instant cash offer” feature on the KBB pricing tool. This option lets people that are interested get instant cash offers for their cars. This isn’t actually a service KBB provides. It connects people to other companies that make an offer. Other complaints focus on problems people have with their advertisers. Specifically, car insurance companies. Once again, these complaints don’t seem to have an issue with the services that KBB actually provides. Therefore, the information we get from Trustpilot isn’t actually that bad. Remember, there are lots of people who use KBB every day. If only 8 of them took the time to post a negative review to one of the most popular general review boards around, then the company is doing well. It’s doing even better when you consider the nature of most of the reviews. On the whole, we’re very impressed with a lot of what KBB has to offer. They’re a great example of a company that uses all of the tools at their disposal to provide as much benefit for users as possible. We especially like the 5-year cost to own tool. It’s easy for people to be intimidated by the price of a car. However, saving more money long-term is always better than saving less upfront. That makes the 5-year cost to own an incredibly powerful consumer tool. One thing that we didn’t discuss is that we liked something KBB didn’t do. The company doesn’t try to offer you everything you need for a car. They have ads for things like car insurance and financing, but they don’t have their own tools for that. We like that they focus on getting the most out of car pricing. That approach is what leads to helpful tools like the 5-year cost to own tool. KBB is an authority when it comes to car pricing. Whether you agree or disagree with their valuation, they shape the market. That means they’re in a position to offer some of the most accurate pricing information available. They also offer pricing specific to different situations. For example, you can expect to get a different amount for your car from a trade-in than a private sale. KBB shows you what you can expect from each. We recommend using KBB’s services if you want to have easy access to accurate market prices of different cars and trucks. The company has some of the most valuable tools around. They also go above and beyond to help people have all of the information they need to make an informed decision when buying or selling a car. KBB isn’t the place to go to actually buy or sell your car though. Instead, you should use it as a tool to check the different prices you’re offered. Or use it as a tool to set the price of your car for a private sale. The app makes it a great choice for people that want to shop at a physical dealership. Overall, it’s a great service. Kelley Blue Book is a company that was founded in 1926. The company is the originator of the term “blue book”, a book of estimate values of vehicles that dealers and consumer can use when buying and selling cars. Kelley Blue Book is company that estimates the values of vehicles. There are many questions about the company as a whole. This section helps as a basic introduction to the company. Kelley Blue Book is a trusted source that gives used car values and ranges to its customers. The company has been in business for over ninety years. Who owns Kelley Blue Book? Kelley Blue Book the vehicle valuation and automotive research company is owned by the Cox Automotive subsidiary of Cox Enterprises. How far back does Kelley Blue Book go? Kelley Blue Book has been in business for ninety years and was originally only for professionals of the trade. The book was expanded to consumers in 1993. How to use Kelley Blue Book? Kelley Blue Book is now used exclusively online for the consumer; they have discontinued their physical copies of the book. Just input specific data on your vehicle on their website and get an estimate value. How does Kelley Blue Book work? How long has Kelley Blue Book been around? Kelley Blue Book was official started in 1926 when Kelley published the first blue book. The blue book became a standard guide in the industry. Who publishes Kelley Blue Book? Kelley Blue Book is a company based in California that publishes value estimates of used vehicles. The company is owned by Cox Automotive. Kelley Blue Book’s main service is the value estimators it provides to its customers. This section is about the difference in each value and how to get the values for your vehicles. In Kelley Blue Book, what is my car worth? If you input your car to the Kelley Blue Book site it will give you two values that are useful to the seller, the Trade-In range and the Private Party Value. What is my truck worth in Kelley Blue Book? Your trucks worth can be calculated online at the Kelley Blue Book site by inputting the specifics of your truck. You can get to important values to help estimate your trucks worth. The Kelley Blue Book value can be categorized into the Trade-In range and the Private Party value. The Trade-In range is what you can expect to get at a dealer for your car the Private Party value what you can get from an individual. How accurate is Kelley Blue Book? Kelley Blue Book is pretty accurate when estimating the value of a vehicle. It has a complex algorithm that takes into account things as location and retail sales. What is the Kelley Blue Book price? The Kelley Blue Book is used online and is free to use. By inputting your vehicles specifications, you can get an estimate of your used car’s worth. How does Kelley Blue Book determine value? Kelley Blue Books determines values of used vehicles by using an algorithm that takes into account factors such as retail sales, historical trends, current economic situation, and location. Why is Kelley Blue Book so low? Kelley Blue Book values are meant to be an estimate of the value of the vehicle and can either be higher or lower at times depending on the seller. How to find Kelley Blue Book value? The Kelley Blue Book value can be found online at the Kelley Blue Book website by putting in the data of your vehicle to get your estimate. When does Kelley Blue Book prices change? The Kelley Blue Book values are updated every week to insure the most accurate prices for the customers. The values can be seen on their website. What is the Kelley Blue Book fair purchase price? The Kelley Blue Book fair purchase price is the amount customers are typically paying for that vehicle. The price is partly based on new-vehicle transactions. What is the Kelley Blue Book value of my used car? You can find the Kelley Blue Book value of your car online at the Kelley Blue Book site. The site will give you the Trade-In value and the Private Party value of your cr. How accurate are Kelley Blue Book values? Kelley Blue Book Values are pretty accurate as an estimate value of used vehicles. They take many different factors into consideration in their estimates such as retail sales and mileage of car. How much Kelley Blue Book for 2004 Toyota Camry? The Kelley Blue Book value for the 2004 Toyota Camry can be found online at their website. More specifics about the vehicle are needed to give a real estimate. How often is Kelley Blue Book updated? Kelley Blue Book values are updated or validated at least once a week to match the ever-changing market to insure the most accurate estimates for the customer. What is the lowest car value on Kelley Blue Book? Kelley Blue Book gives out many different values when giving an estimate for a cars worth. Usually the lowest will be the instant cash price but that will also be the easiest price to get. Why are Kelley Blue Book valuations higher than Edmunds? Kelley Blue Book values are higher or lower than other value estimators for vehicles such as Edmunds because they use different factors to estimate values. Which Kelley Blue Book value is used for legal value? The Fair Market range will be the Kelley Blue Book value used when trying to value your car legally. Different banks, lenders, and insurances use their own system for valuing a car. We know that pricing is Kelley Blue Book’s main service to the customers, but it actually offers other services such as instant cash offers and lending. The following are questions about other services it provides. What is Kelley Blue Book lending? Kelley Blue Book offers loans to its customers when buying cars. You can get a quick estimate offers online from one or all five of its lenders. How does Kelley Blue Book instant cash offer work? Kelley Blue Book instant cash offer is a real offer to purchase the vehicle or trade it in for that price. It is valid for three business days and can be redeemed at participating dealers. How to subscribe to Kelley Blue Book? Kelley Blue Book is free to use online at their website. The data of your vehicle must be input to get the estimate values. There was a previous subscription service that has been discontinued. How many best buy awards does Kelley Blue Book give out? Kelley Blue Book has a total of fifteen best buy awards including Best New Model, Compact Car, Midsize Car, Subcompact SUV, Compact SUV and Luxury Car. Which car did Kelley Blue Book name the 2017 best buy award overall winner? Kelley Blue Book named the Honda Civic the best over buy of 2017. The Honda Civic has been the winner for the second consecutive year. Where can I print the Kelley Blue Book list of a car from excellent to fair? The Kelley Blue Book prices of a car are available online at their website www.kbb.com. The price is different for each condition and will have to be seen on separate pages. There are many questions about Kelley Blue Book. The following section is on a wide range of topics featuring questions such as how to report a scam and the difference between Kelley Blue Book and NADA. Why does Kelley Blue Book only go to 1992? Kelley Blue Book only maintains values of cars 20 years old or less. There is not enough demand for the company to go further back than that as those don’t sell as much. How to report a scam on Kelley Blue Book? Why does the dealer think the car is worth more than Kelley Blue Book? Kelley Blue Book values are just estimates that are valuable to when negotiating. It is possible that dealers or individuals will want more or less than the estimate. What is the difference between NADA and Kelley Blue Book? They are both vehicle value estimators. Kelley Blue Book has been around for longer and was the first to be used by consumers. The estimates are different in each as they use different factors for the values. 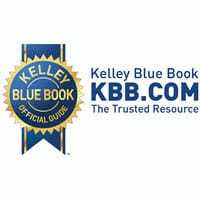 What car dealerships use Kelley Blue Book? There is a list of car dealerships online at the Kelley Blue Book site that shows the dealers that use Kelley Blue Book. Those dealers can be used for the instant cash offer from the company. How much cars depreciate in Kelley Blue Book? Cars depreciate at different rates depending on the make and model and market supply. Cars usually depreciate the most within the first five to six years. What is the description for the term fair in Kelley Blue Book mean? The Kelley Blue Book fair condition term can be described as vehicle that has some mechanical or cosmetic defects and needs servicing but is still in reasonable running condition. Why is Kelley Blue Book not working on my computer? How trustworthy is Kelley Blue Book pricing? Kelley Blue Book pricing is trustworthy because it uses a variety of factors to estimate values of used vehicles and is reviewed and updated weekly. How much of Kelley Blue Book Trade-in value will a dealer give me? The amount of the Kelley Blue Book trade-in value you receive varies from dealer to dealer. The Trade-In value is meant to be an estimate and used in tandem with your judgement. How can I add repairs to my Kelley Blue Book value? You can add them when inputting the data of your car on the Kelley Blue Book website. So, if the engine in your car was replaced you can add it under aftermarket parts. Why can't you add mileage on Kelley Blue Book? Mileage is one the factors that Kelley Blue Book uses to determine the value of your car. You can add it on the page after you click the My Cars Value button. Kelley Blue Book and NADA each use different algorithms to come up with their estimate values for used vehicles. NADA is usually higher for Trade-In value than Kelley Blue Book. What is a rebuilt car classified as on Kelley Blue Book? There is not a specific category for a rebuilt car or salvage title. The industry rule of thumb is to deduct twenty to forty percent of the blue book value. Where to buy Kelley Blue Book? Kelley Blue Book estimated values for vehicles can be accessed online at their website. The service is free and they no longer sell a physical copy of their book. Where can I purchase a Kelley Blue Book? Kelley Blue Book no longer offers subscriptions of its book, but the service remains only at no cost to the customer. There are some used Kelley Blue Books on Amazon. What is fair condition on Kelley Blue Book? Fair condition for Kelley Blue Book means that the vehicle has some mechanical or cosmetic defects but is still in reasonable running condition. Kelley Blue Book is meant to be used as an estimate of value of a vehicle and can be used in conjunction with other vehicle estimators such as NADA along with your judgement.